Anything because you deserve it after a good workout. I can sleep anywhere & anytime. Chermaine used to work, soaring high in the skies as a flight attendant. This work, however, took a toll on her neck and back from long hours of standing in flights. Pilates was introduced to her by a friend, and she was instantly hooked when she attended her first reformer class! She saw the changes in her body after just a month of practise, and the constant pain on her neck and lower back disappeared. She also felt changes in strength, toning and overall health. Chermaine is in awe by how the body could fine-tune with the muscles in a distinct and mindful way that she has never felt before. This has inspired her to pursue instructor certification from Stott Pilates. 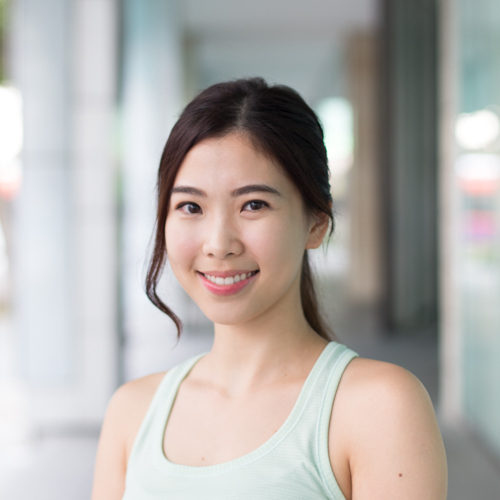 Chermaine believes that Pilates is beyond the surface of physical exercise, its a very precise, intelligent system that focuses on quality instead of quantity of movement and technique. It's a way of learning how your body works and how you can effectively utilise it to improve your posture, appearance and physical wellbeing. Chermaine is a certified STOTTS Pilates Matwork and Reformer Instructor.